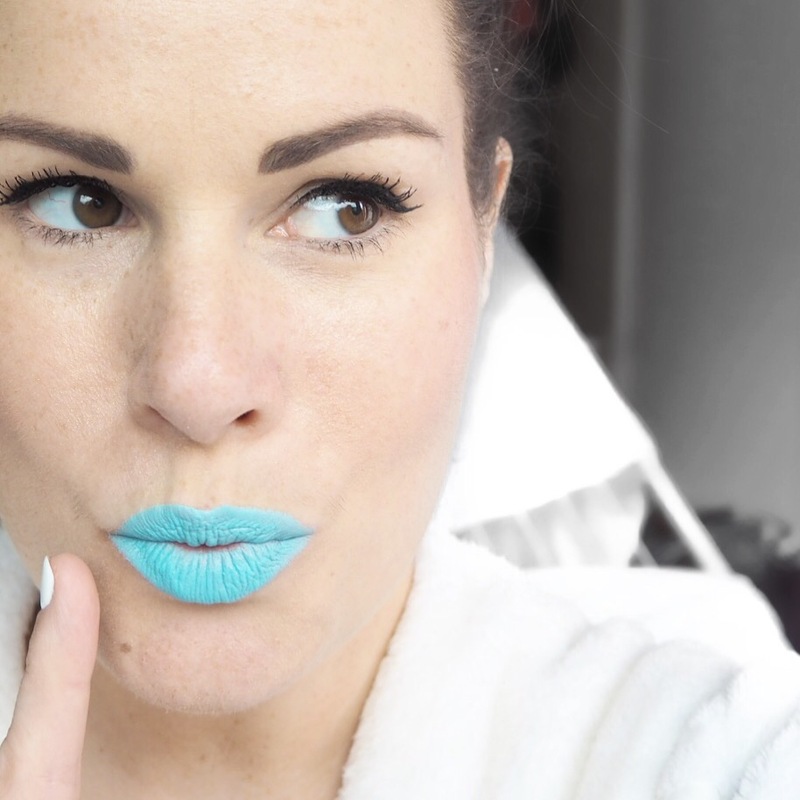 For day 156 of Simply Lippy in the bravery of my home, I decided to choose something completely out there and very different for me, but amazing nonetheless. 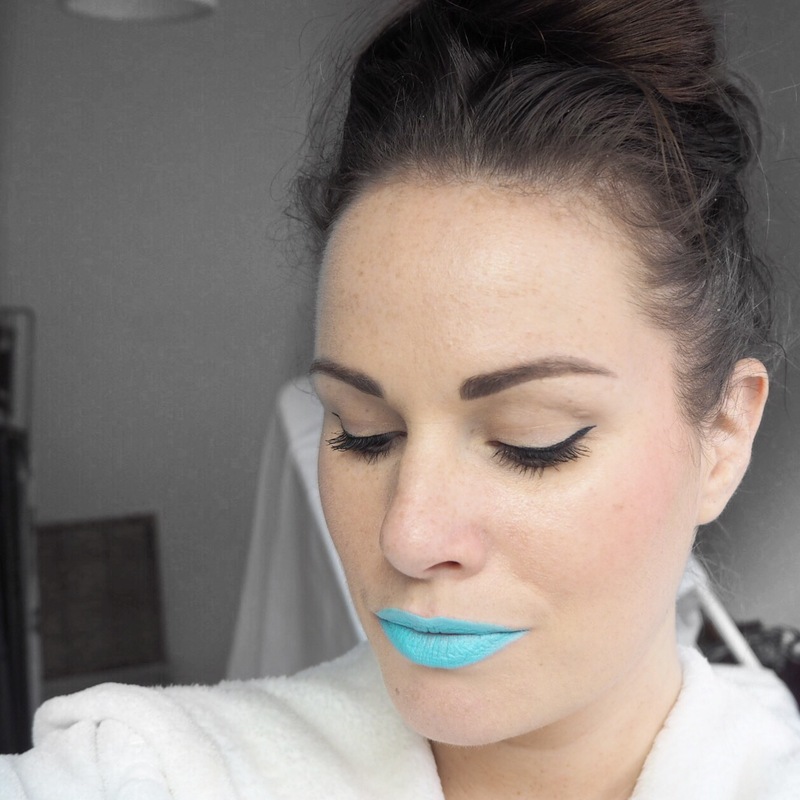 I’ve always loved seeing blue lips on other people, I’m obsessed with the drama they give to any makeup look, and how they totally transform the face. However, I have never been under any illusion that I would be able to pull it off myself. 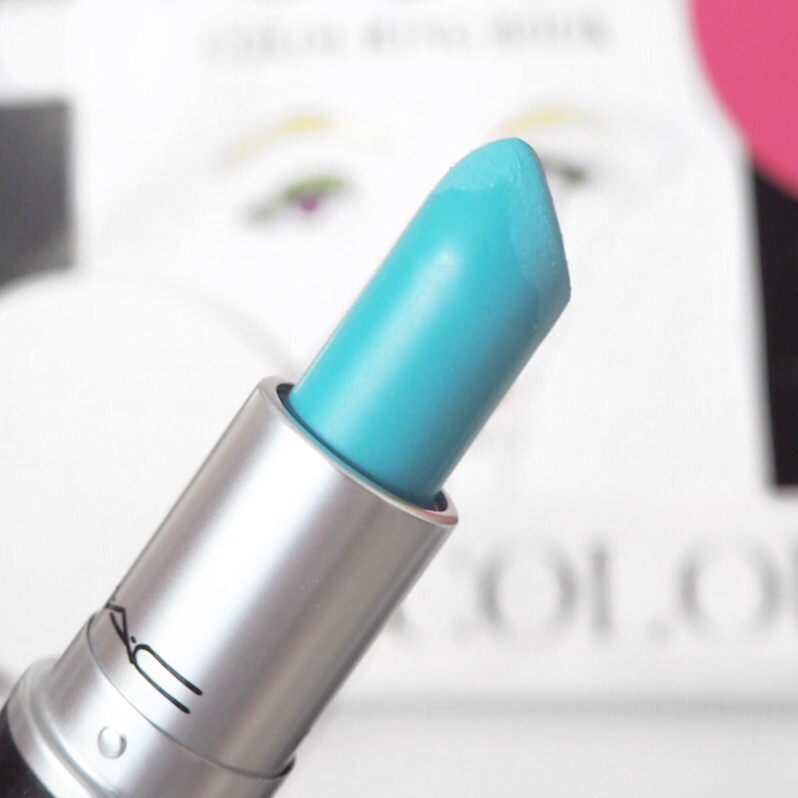 However, as I was home sick, I decided there was no better time to try this gorgeous turquoise blue shade, Instant Icon, from MAC that I bought a few weeks ago and have been trying to build up the courage to wear. And first impressions are, that I absolutely love it! 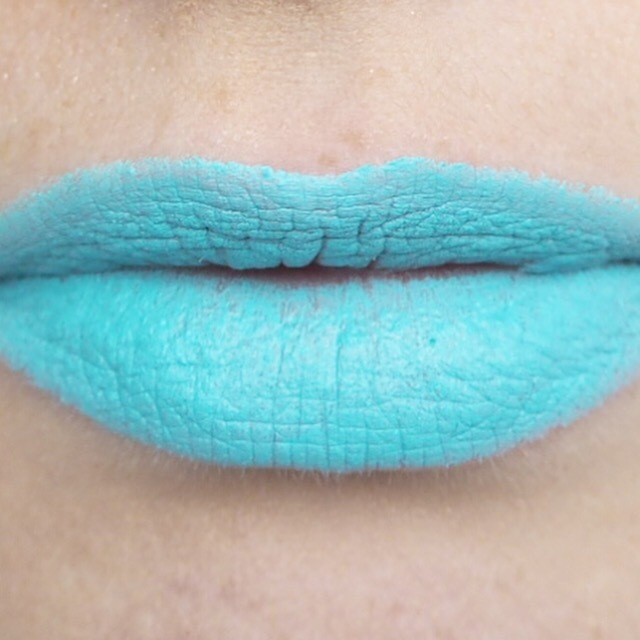 The pigment is unreal meaning that the blue you get in the stick is the same blue that appears on your lips, even after just one layer of application, and the matte formula leaves it feeling creamy but bold too. 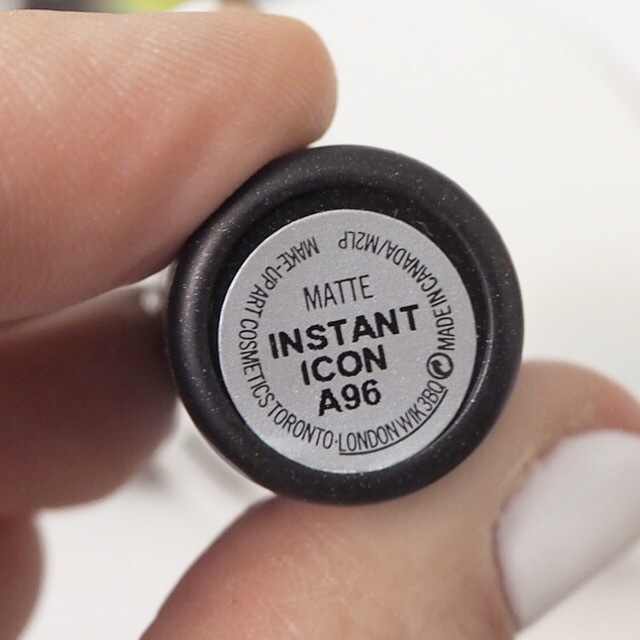 My lips are very dry in the photos, but that just shows how good this formula is because apart from a little dryness in the centre, you wouldn’t really notice. 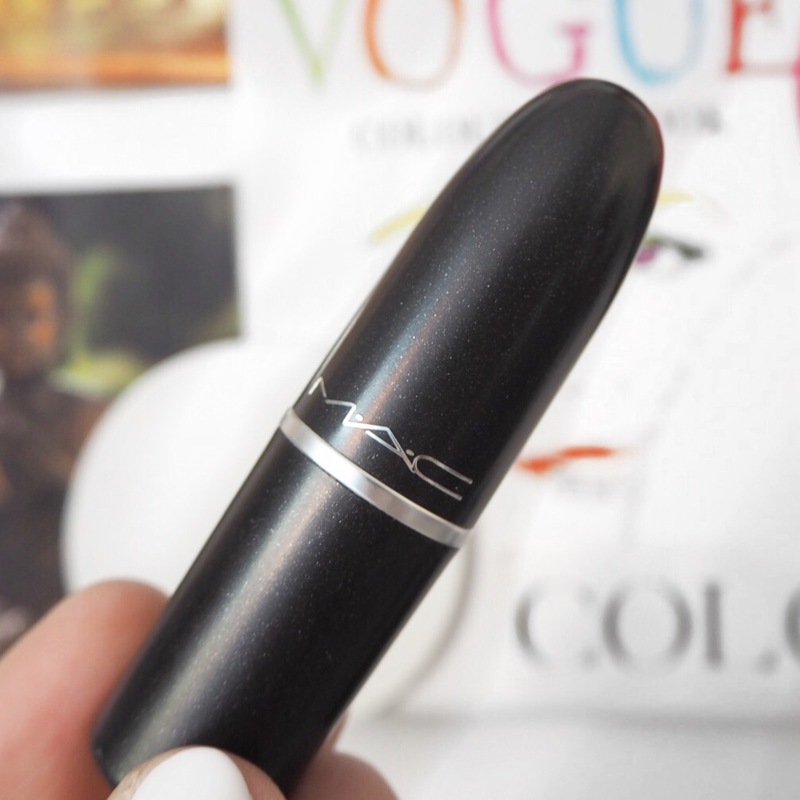 It’s no secret how much I love MAC lipsticks, especially their matte range as it’s creamy and moisturising, but super long lasting too. 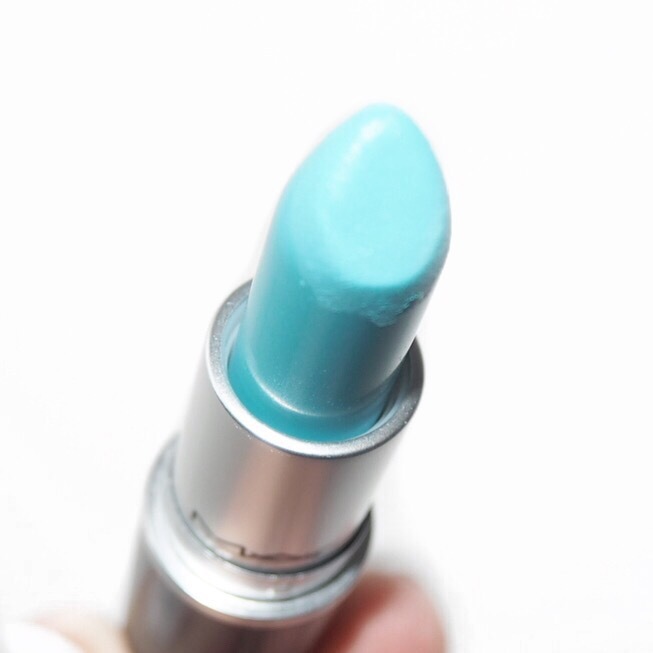 No matter what the shade, it always gives a gorgeous pop of colour to the lips. 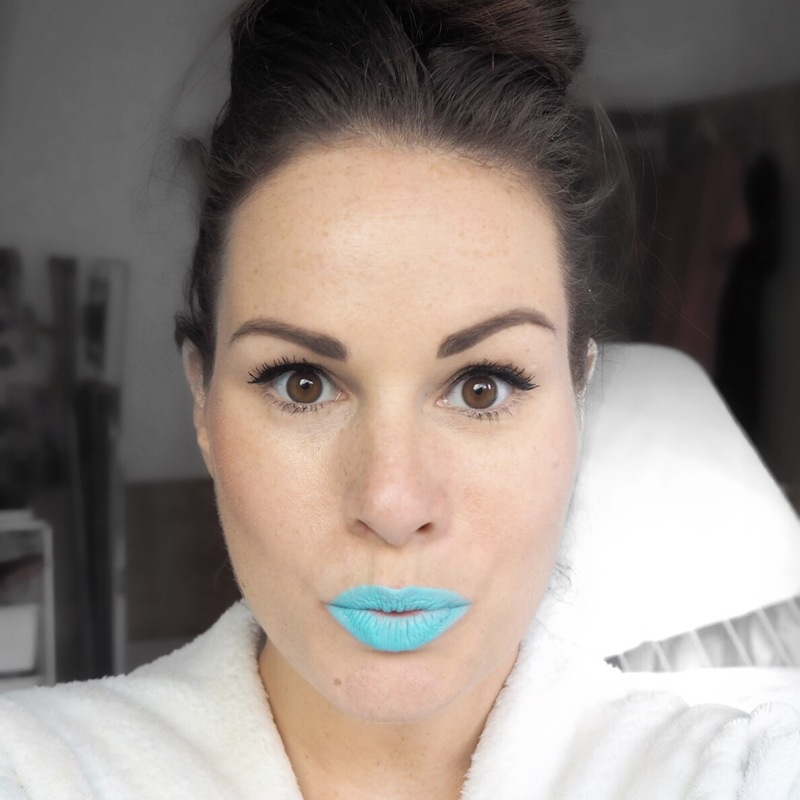 I had so much fun wearing this shade and although I did venture out for a quick trip to the shops, I didn’t manage to make it any futher. I think I needed to ease myself in, but now that I’ve tried it, I wish I could wear it again. No doubt if I wore this out during the day I’d get some funny looks, but for a bit of fun every now and then, I think it is just fab! Wow! Love this! Not sure I could leave the house wearing it either but it looks awesome on you especially against that crisp white shirt.